The last of the Chicago Transit Authority&apos;s 2200 series "El" cars — a mainstay of the system since Nixon was president and gasoline was 35 cents a gallon —will make their final runs today. 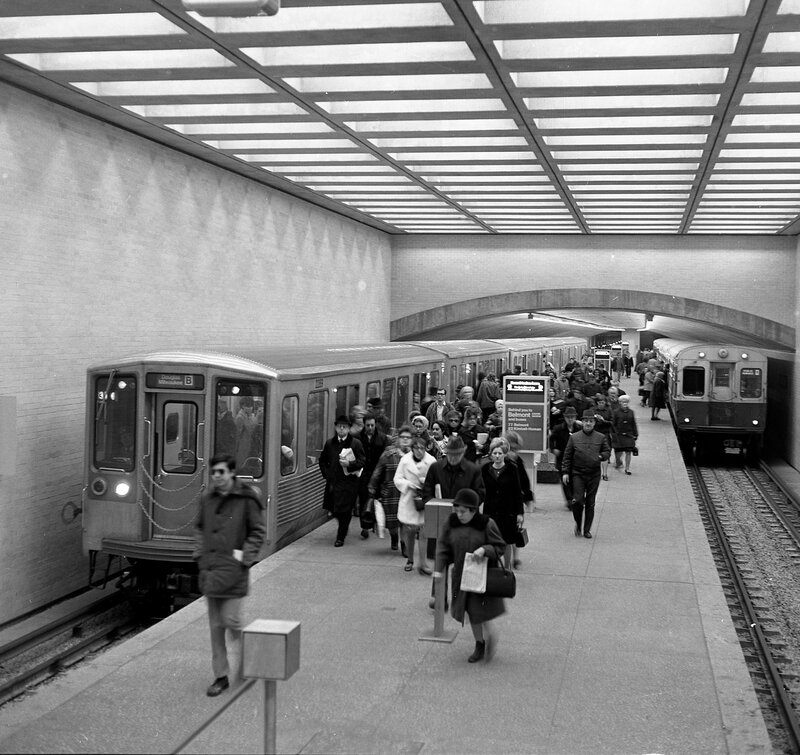 Best known for their corrugated sides and notoriously narrow double sets of folding entry doors, the trains were pressed into service in 1969. The now-aged cars were a bit of a sensation when they were first introduced. 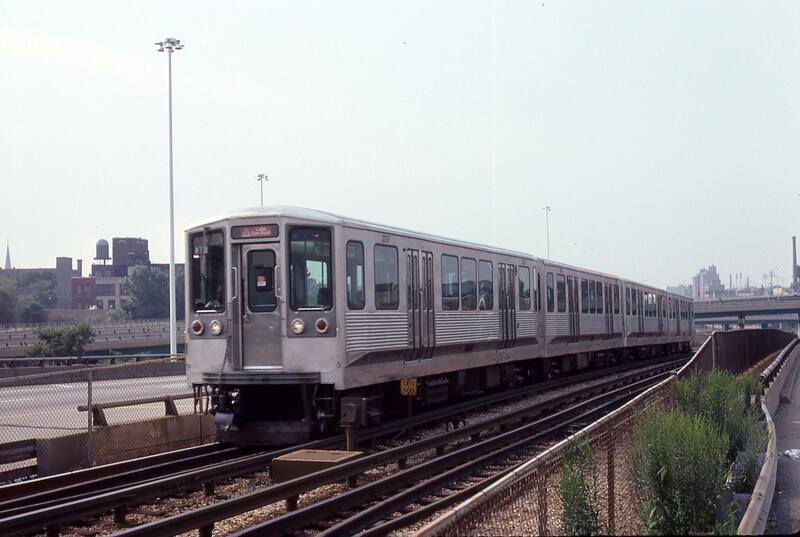 Sleek, silvery and fast (the trains could go 55 mph), the 2200&apos;s were a modern step-up from the previous series, as the above 1970 CTA photo above of the new and old cars at the Belmont stop on the Blue Line shows. Skidmore Owings & Merrill architect Myron Goldsmith — an under-heralded talent if there ever was one — helped design the cars to match his then-new architecturally modernist CTA stations on the Dan Ryan and Kennedy and expressway medians. "We wanted to achieve a total design," SOM Managing Partner Richard F. Tomlinson said Wednesday. "New, modern and technologically-advanced rolling stock designed in conjunction with the most modern transit stations of their time in the U.S. This was the largest and most comprehensive expansion of the CTA rapid transit since it was first built." The CTA is celebrating the cars&apos; retirement with a ceremonial run of the last cars from O&apos;Hare to Forest Park and back, making all stops in between, beginning at 11 a.m. The cars will have original decals and vintage advertising, the agency said.